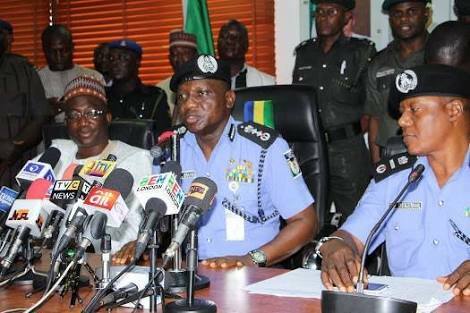 The 371,800 figure often quoted as the number of members of the Nigeria Police Force in the country included no fewer than 80,115 ‘ghost officers’, data obtained from the Office of the Accountant-General of the Federation revealed. The data, according to PT, showed that following the full integration of payrolls of the country’s 42 police commands and formations into the federal government Integrated Payroll and Personnel Information System (IPPIS) last February, staff count stood at only 291,685, with gross salary of about N22.3 million. The extra number of officers, which the top hierarchy of the police failed to account for, have for several years been drawing billions in salaries and other benefits. At the meeting of the Federal Executive Council in Abuja last Wednesday, the Minister of Finance, Kemi Adeosun, presented an updated report on the implementation of the IPPIS. The minister confirmed that 511 ministries, departments and agencies (MDAs) have been captured under the system, with staff count of about 607,843. Of this number, the minister said, 469 MDAs, with staff count of 316,158, and gross salary of N43.98 billion, were from MDAs whose payrolls have been captured under the IPPIS as at March 20. Mrs Adeosun said this did not cover staff count of 291,685 from the 42 police commands and formations across the country captured on IPPIS platform as at February which accounted for a gross pay of over N22.3 billion. In addition, she said staff count of para-military agencies, namely Nigeria Immigration Service, Nigeria Prison Service and Nigeria Security and Civil Defence Corps under the IPPS to date stood at about 100,822, with a trial payroll cost of over N11.5 billion for the corresponding period. The figures, which the minister said have been sent for review and update against the April 2018 payroll involved a staff count almost the size of the extra ghost officers uncovered in the police payroll. The minister said government saved over N68 billion on personnel cost though the full deployment of the IPPS in the payrolls of MDAs in spite of increase in personnel, including the recent employment of fresh 10,000 officers by the Nigerian Police. Until last February, the police authorities have always resisted government’s proposal to bring its payroll under IPPIS, one of the public finance reform policies for personnel management and payroll system in support of manpower planning and budgeting. Early last month, there were simultaneous protests in the Federal Capital Territory, Abuja and Port Harcourt to kick against attempts to do this. The protesters had argued that the proposed integration of the police into the IPPIS system by government would work against the smooth operations of the Force, as the arrangement would delay the prompt payment of salaries of officers every month. But, government insisted on going ahead with its phased deployment of the scheme in all MDAs, which had the police, para-military agencies, military and federal tertiary institutions covered under Phase 3. Although the minister did not say how much government saved as a result of the removal of the over 80,000 additional names on the police payroll at the completion of the integration process in February, she however confirmed aggregate savings in personnel costs for all MDAs since 2007 was about N288 billion. She said with the completion of the exercise, the police payroll at the moment was not only efficient and accurate, police officers across the country now receive their salaries promptly on or before 20th of every month. Premium Times is yet to confirm the minister’s assertions. Prior to being brought under the IPPIS platform, PT learnt officers’ have been complaining of unapproved deductions from their monthly pay, apart from the official tax obligations they have to bear along with contributions to other benefit schemes. PT was not able to independently confirm with the police authorities what the latest details were of their payrolls since being brought on the IPPIS platform. When contacted, police spokesperson Jimoh Moshood did not return calls or reply text messages sent to him.